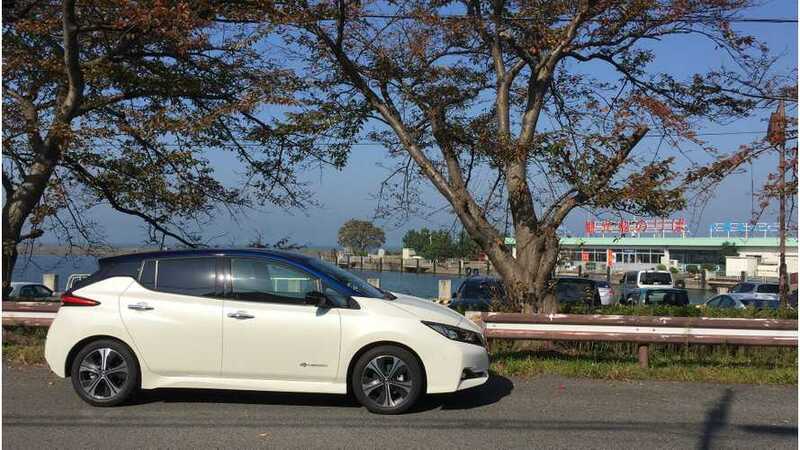 The new 2018 Nissan LEAF (details) undergoes a range tests by James from Electrified Journeys Japan, which ultimately shows that the 40 kWh version is much more capable than the previous 30 kWh options. Depending on the driving condition, the new LEAF was able to do from 206 miles (330 km) to 158 miles (252 km). Please watch the video from 59:42 for summary. The higher result is via gentle driving, but in not ideal weather, while the lower result is via harder driving, with wind, mountains and A/C on. According to James, in U.S. we should expect 150-170 miles real world, which basically lines up with its EPA rating of 150 miles. The previous LEAF was rated at 107 miles (172 km). Additionally, James appreciated a lot of new information while at the DC fast charging station, stronger regen in the new edition, better acceleration, and found the overall driving experience improved compared to the old LEAF. "After driving the 40kWh Leaf around for two days I've discovered a lot of new and interesting things that set it apart from the 1st Gen Leaf. I know this range test video is long but if you do watch the whole thing you might be surprised at some of the revelations I make." 150 miles/241 km still not enough? Nissan has a longer range ~60 kWh version set to arrive alongside the 40 kWh trim level for the 2019 model year next fall (even though they are remiss to talk about it much). The ~60 kWh LEAF should net about 225 miles/162 miles. Nissan also promises that it will have even better performance than the base model (which currently zips to 60 mph in a little over 8 seconds).